Irvin Leisure has five generations of experience in running fairs. Add to that our extensive list of happy clients, from corporate giants such as Microsoft, BMW and Saatchi, media companies like the BBC and ITV to fetes and parties – whatever you require, we’ve got it covered. With events as prestigious as the Millenium Fair at Buckingham Palace in our portfolio, you can be assured that Irvin Leisure truly is a first rate provider of fairground rides and attractions for corporate and fun events. Not all suppliers are the same. 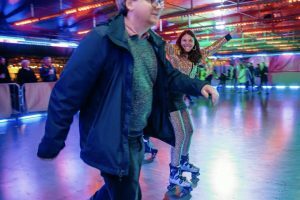 With Irvin Leisure handling your event you are assured of: Independent Safety Certificates, £10 million Public Liability Insurance, site visits, surveys and risk assessments. We can even help with the catering, marquees and and more. Why not contact us today and let us take some of the burden of organising your event? Hello I am interested in hiring your Kentucky Derby stall and possibly some others on Friday 10th August and was wondering what the cost would be. The event will be held at Tortworth Court in South Gloucestershire. 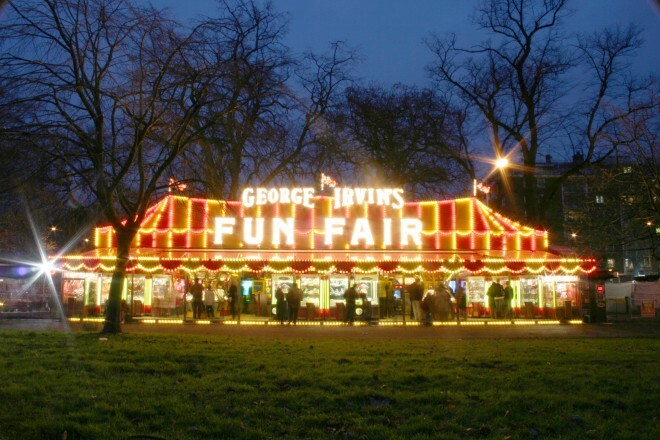 Hi,i saw the addvert of the family fun fair at clapham common. i wish to visit but dont live local at clapham so am wondering if you can post a more specific address. thanks NG. Our pleasure, and please find address below as on the poster on our website where there is a little map and if you click on the poster it enlarges to make it easier to see. It is on the junction of The Avenue, South Circular Road, and the post code is SW4 9AR. Nearest underground is Clapham South on the northern line. Drop me an email to george@irvinleisure.com and I will send all our price sheets. Do you have any vacant stalls/ kiosk at any of your London events in November/ December 2013 and events 2014. I sell fresh cupcakes and cookies. Sorry Mo, but get in touch in January regarding 2014. We would love to. Can you send me an email to info@irvinleisure.com and I will do that at once. Drop us an email and we would love to help at your event. info@irvinleisure.com is the one to use! I was wondering if I would be able to hire a stall at the fairs, I sell candles, boxes glasses deigned with henna art, gems and stones. I would be very grateful to find out more information on how I can hire a stall. Tell us which fairs you are interested in by email to info@irvinleisure.com please. Hampton Court at Easter may suit you so please come back soon!